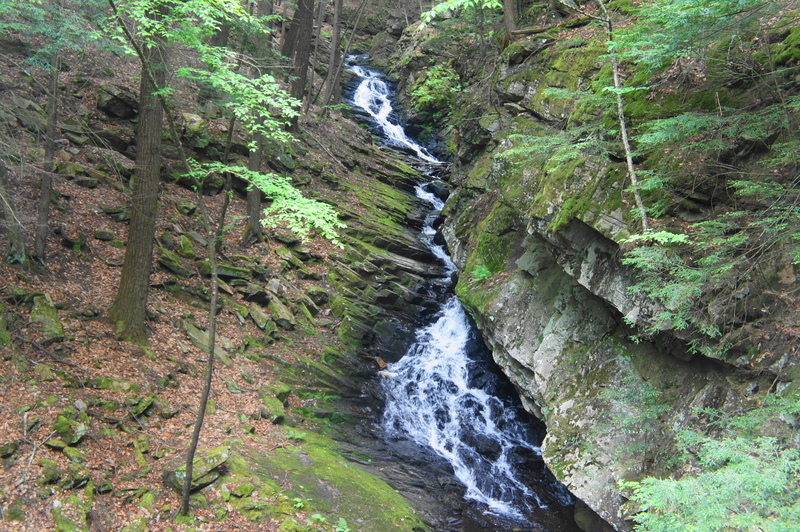 Chesterfield Gorge Natural Area in southwest New Hampshire—not to be confused with another Chesterfield Gorge in Massachusetts—features a short, 0.7-mile walking trail that follows Wilde Brook as it tumbles over a series of cascades. 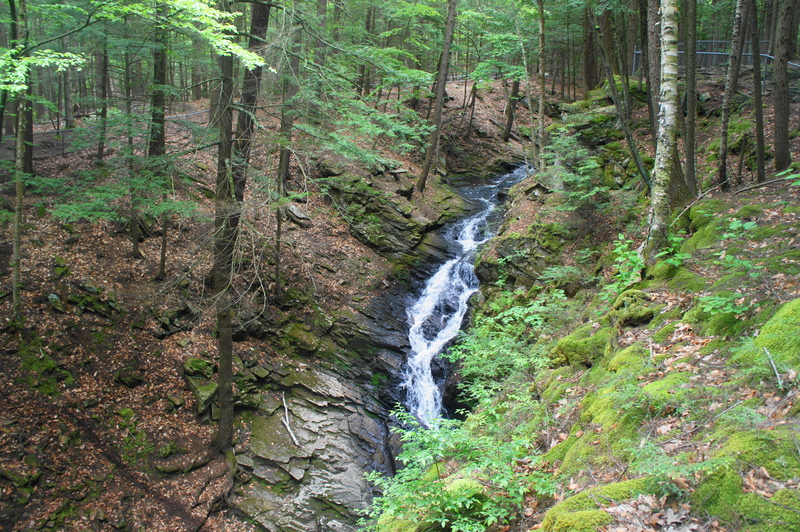 While the park is a mere 13 acres, the Chesterfield Gorge Trail makes for a pleasant quick stop along the road between Keene, New Hampshire and Brattleboro, Vermont. The wide path immediately begins a modest descent to the northeast, quickly reaching a junction in less than 100 yards. Bear left as the trail switchbacks to the west and enters a small valley ringed with hemlocks. 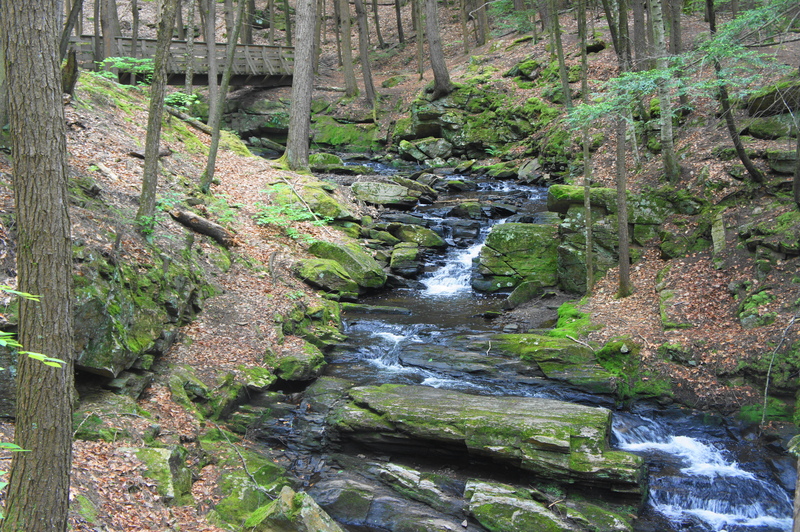 Wilde Brook comes into view on the right, and the easy trail traverses a small tributary before approaching the start of the loop section of the hike. Bear right first, crossing a wooden bridge over Wilde Brook, then bear left, hugging the north bank. 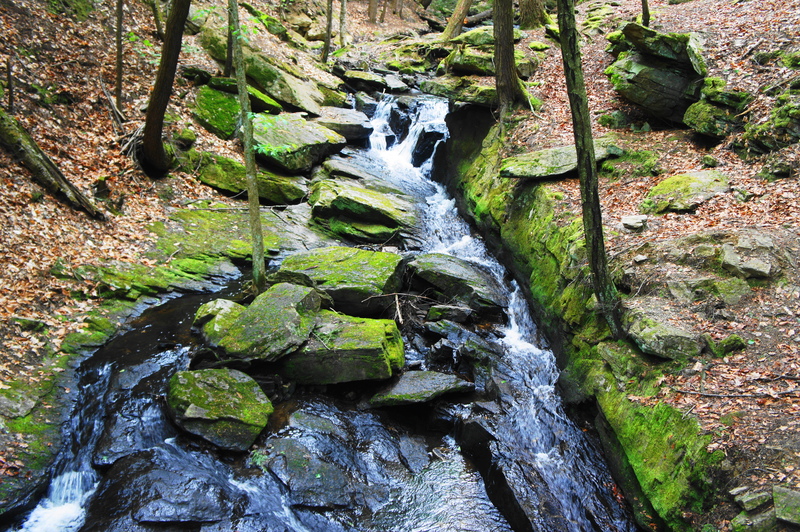 From here, the creek begins to cut into a shallow gorge, forming pleasant and photogenic cascades. Views are partly obscured as the trail remains high above the gorge, but the trail quickly drops at about the 1/3-mile mark to cross a bridge at the base of the canyon. The views are much better as you ascend the south side, reaching a fine but fenced off viewpoint at 4/10 mile. 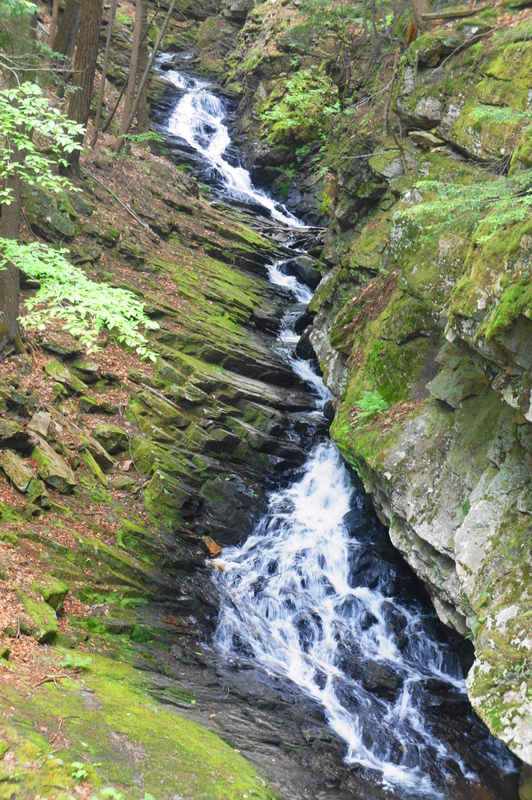 Here the creek squeezes through a narrow channel with jagged walls on both sides. Chesterfield Gorge was formed during the latest Ice Age, as melting ice formed a stream that cut through the existing bedrock and reached the igneous granodiorite, where it carved a channel through the path of least resistance. The rocks today are covered in green lichen, providing color to the gray rock. Continuing around the loop, the trail leaves the gorge behind and weaves back to the initial bridge. Stay right, following the uphill path leading back to the parking area. The total distance comes out to around 7/10 mile, a trip that should take between 30-45 minutes. 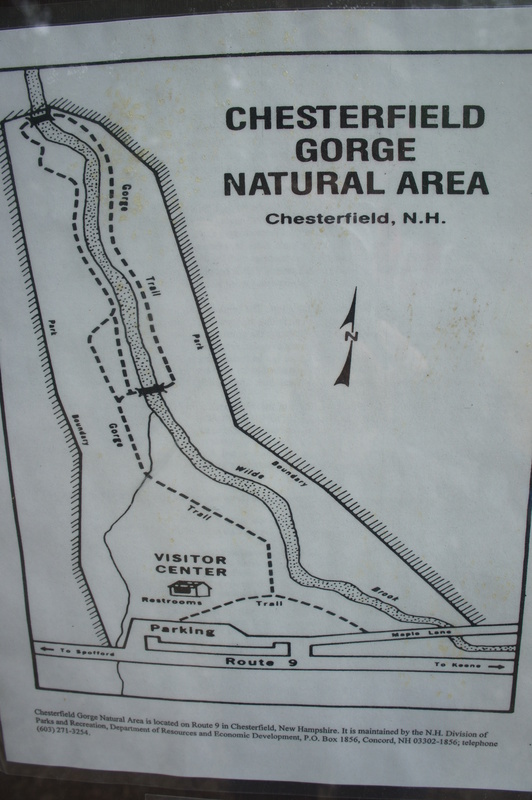 This entry was posted in Easy Hikes, New Hampshire and tagged Chesterfield Gorge, Chesterfield Gorge Natural Area, Chesterfield Gorge Trail, loop hike, New Hampshire, Wilde Brook. Bookmark the permalink.